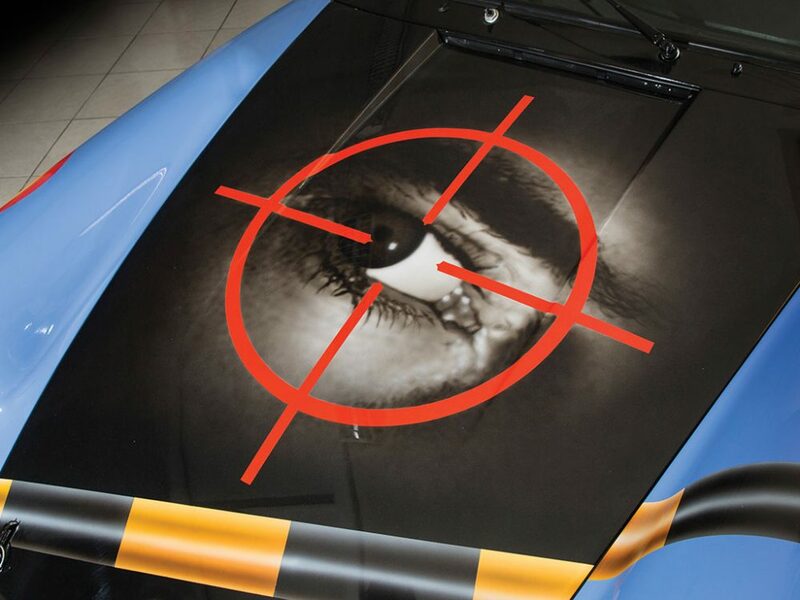 Turning any vehicle into an art car of any substance is bound to draw stares. 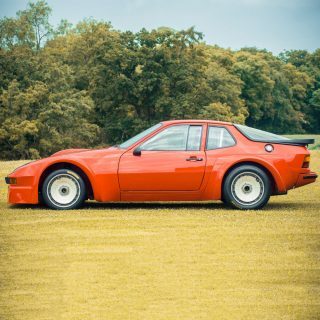 I’ve seen several in person, from the three BMWs at the Petersen Museum through all of 2016, to clapped-out jalopies where owners have gone wild with the crazy glue. 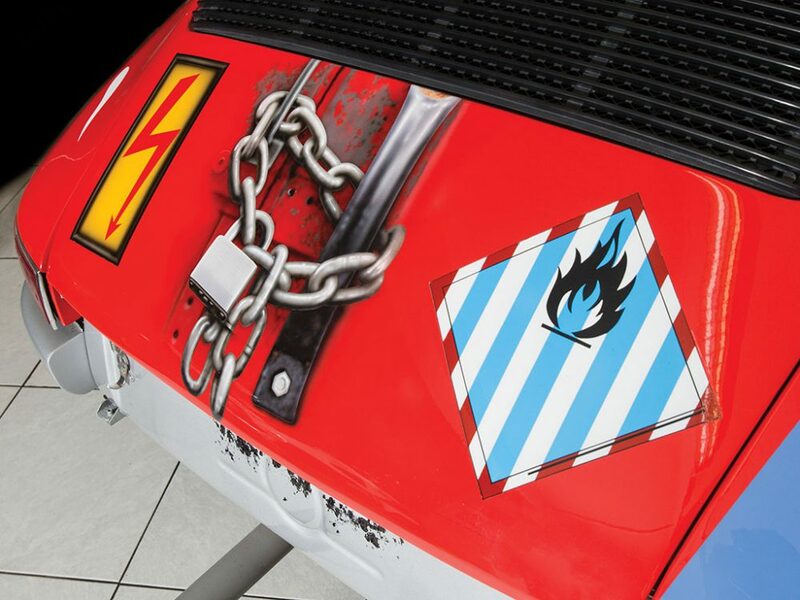 In any case, once a vehicle’s artfully-sculpted curves are given a contrasting livery, its look changes completely. 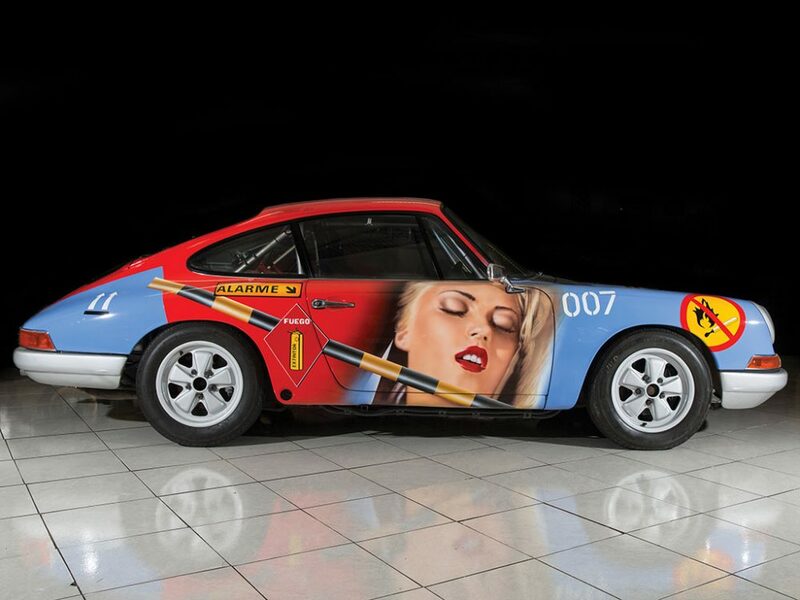 This is definitely the case once Peter Klasen had finished with this particular canvas, an early 1965 Porsche 911. 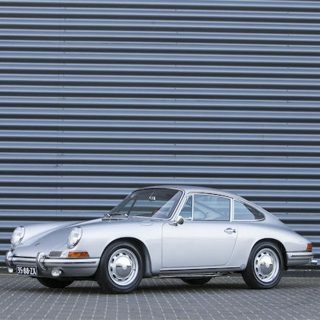 It’s a 911 that’s undoubtedly seen a few things in its life. It was turned into the art car you see here in 2009; fully race-prepared, it’s essentially a canvas you can hop inside and set lap times…or, of course, to just look at. 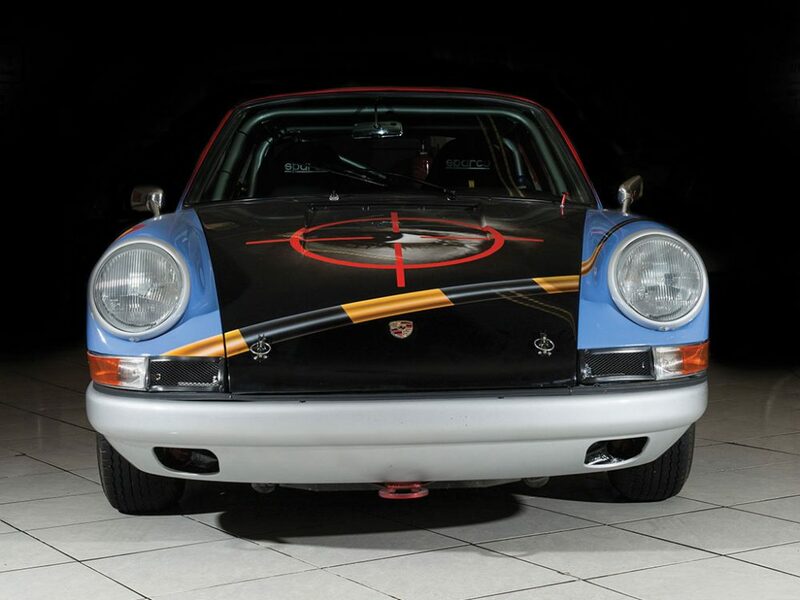 Following the RM Sotheby’s description, its history as a classic car skips from its last Kardex entry in 1967 to 2009, when its finished paint job was signed by Klasen. The early days of chassis no. 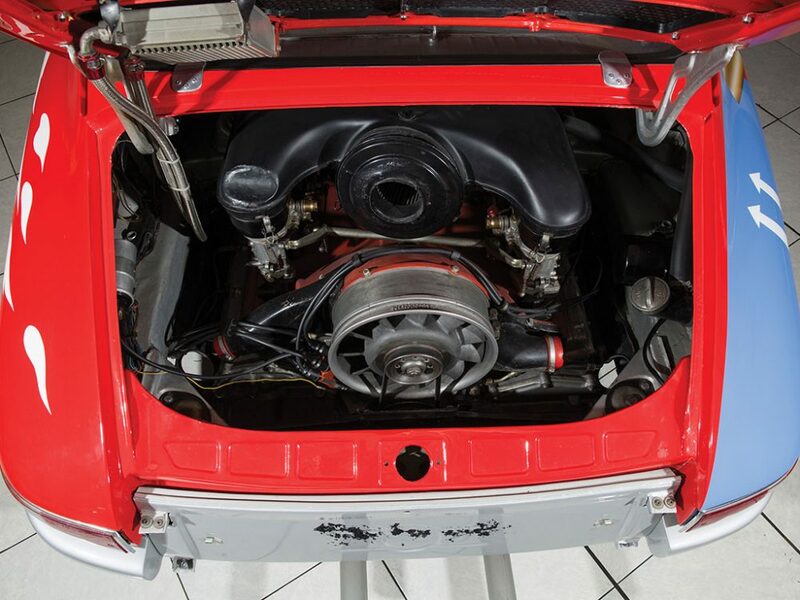 300617 are known, when it was in the care of a Dr G. Gouderko, who bought it new from a dealer in Freiburg-im-Breisgau, Germany, and serviced there until early 1967. I don’t think the doctor converted the car to racing specification, and its specific history, at least as it relates to the information available publicly online, drops off the radar from the mid-‘60s—if you’re inspecting this car before it crosses the block in Monaco, there are probably additional documents and information available to piece together its history from the late ’60s until 2009. 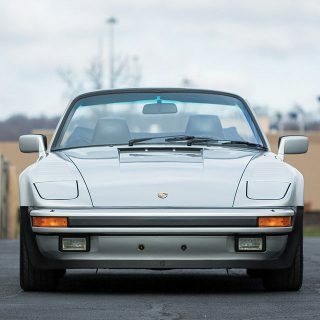 It’s perhaps fitting that a 911 originally delivered with canvas-like Light Ivory paint would one day end up with its flanks adorned with splashes of color. 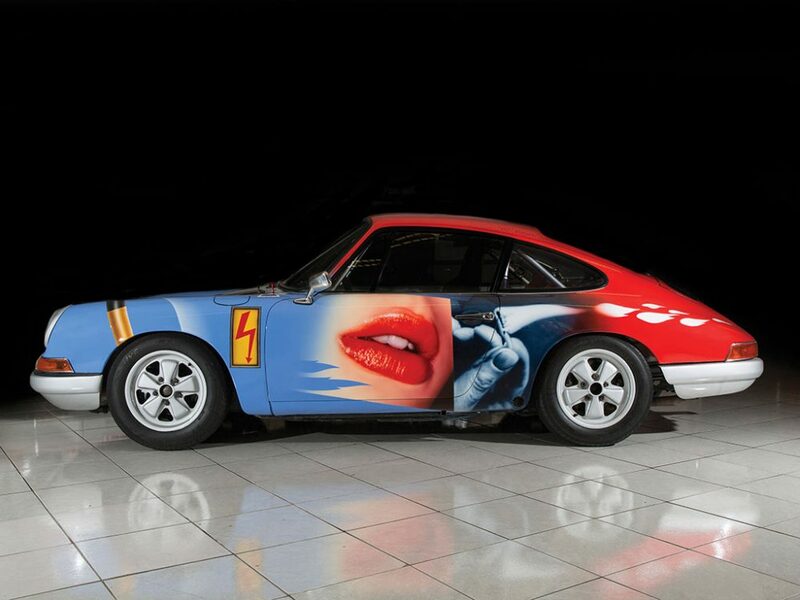 La Nouvelle Figuration is the movement we have to thank for the car’s Pop Art-like livery, and it’s a style Klasen has been closely associated with since the time when this car was new: the ’60s. Coinciding with the rise of Pop Art in the U.S., figurative painting is used to depict scenes from contemporary life. 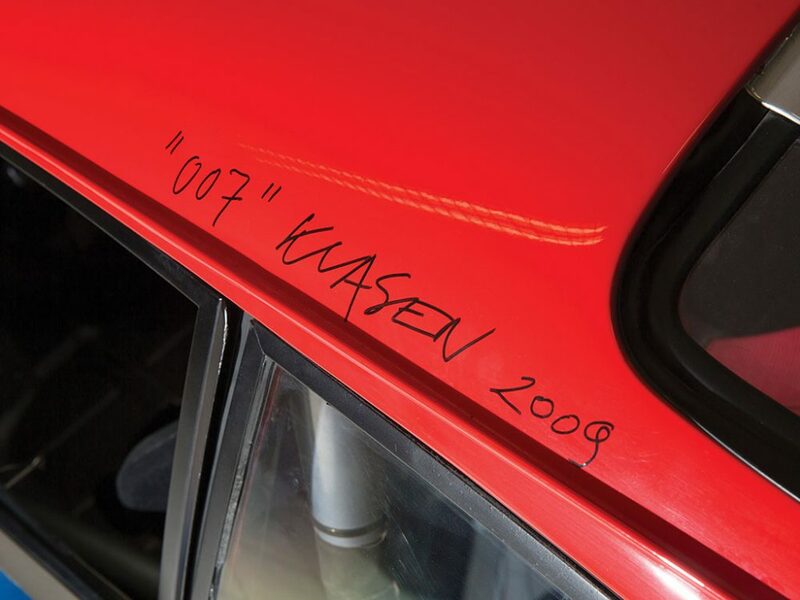 Here, Klasen has christened his work “007”; it looks like a few frames from the latest James Bond film were combined along the flanks of this sports car. 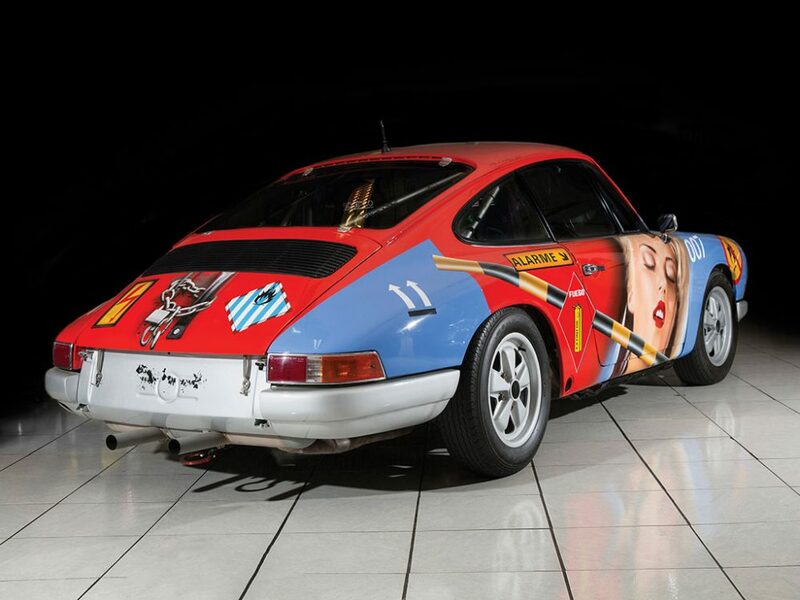 As an art car, it’s been featured in shows, noted in Klasen’s catalog raisonné, and will undoubtedly remain a well-regarded piece of the artist’s body of work. 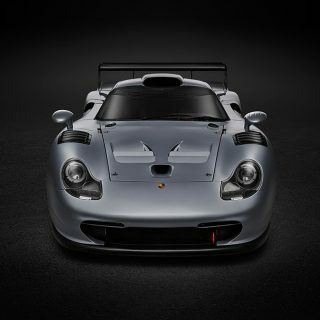 Other Porsche race cars have been painted by Klasen, so chassis no. 300617 is in good company. 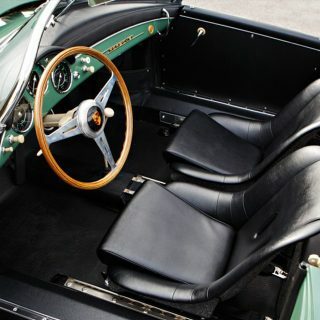 As a racing car, it wears lightweight body panels, roll bar, racing seats (and other associated safety gear), and Fuchs alloys. 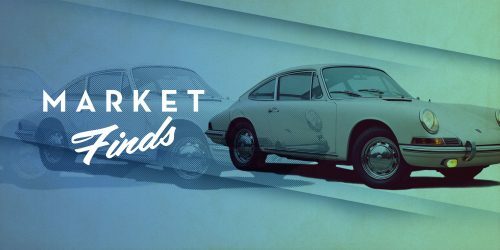 Its 190 horsepower from less than 2.0-litres is impressive even today, and being an early short-wheelbase coupé it’s arguably one of the best ways to go back in time and experience the genesis of Porsche’s 911. 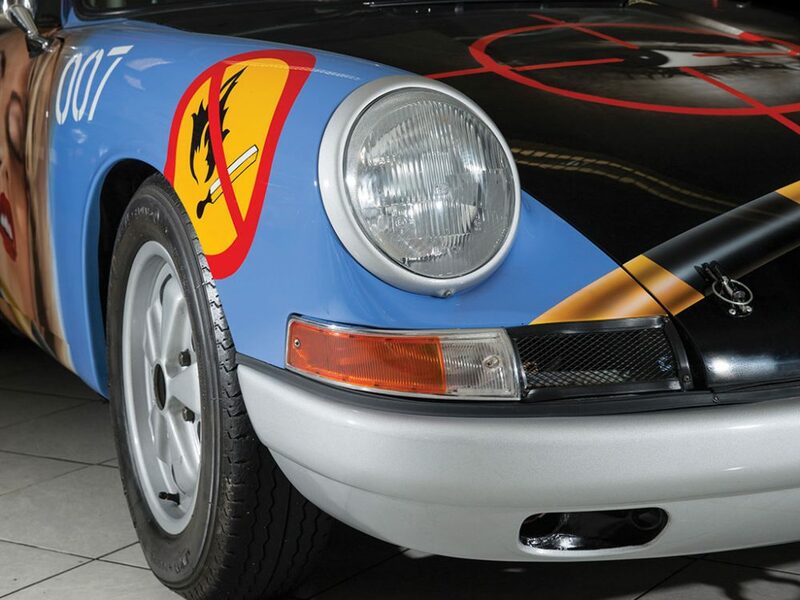 Having bodywork transformed into a canvas means its next owner probably won’t leave it parked for hours at a time in the local Whole Foods parking lot, but it does mean it’s been given cultural significance beyond what the team at Zuffenhausen endowed it with at birth. 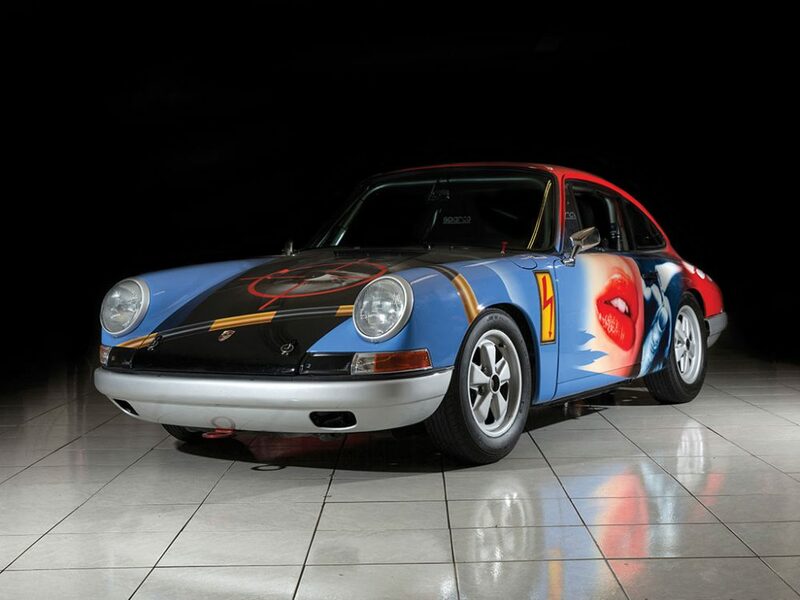 Do you think its rebirth as moving artwork breathed new life into this 911, or is having an arty Porsche race car just too strange? A mustache on the Mona Lisa! The paint job despite it being the very antithesis of my usual tastes not to mention my not being a fan of Peter Klasen’s work in the slightest is pretty damn cool . In fact I’m forced to say I actually like it . 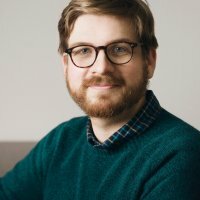 The price though ? Errr … not so much . The very epitome of overinflation in the midst of a rapidly reaching critical mass bubble .